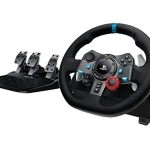 This article is a supplement to the large steering wheel compatibility article for TDU2 and the Logitech G27 setup guide. The curious sliders in the extended options section are confusing to say the least. Here, you will get some explanations, right from an Eden Games developer. We will be talking about the advanced options in this article. Tweaking your vibration, FFB, dampening, linearity, and sensitivity are what this article is all about. If you are looking for help in setting up a steering wheel, refer to one of the article links above. The screen in question is located under Controls > Controller Configuration. You probably already found it and have some questions. This article should be helpful to both PC and Console gamers (and gamepad users as well). Vibration: Simply a rumble pad effect in a game controller. For steering wheels, I recommend taking advantage of this effect. If you turn it down, you will feel nothing when you are driving straight on the road. For best results, leave in the middle. Force Feedback: The most important piece of the puzzle. You have 8 options: default, off, low, medium, high, invert-low, invert-medium, invert-high. Frankly, I wouldn’t expect users to need the invert options. These exist to support older peripherals and I have only ever seen it needed once in modern times- GTR Evolution. Off is off. Default is the centering force only. Therefore, focus on low, medium, and high. The wheel presets will go to medium and you should definitely set them to your preference. It appears that PC users have had to use high most often, which was too much for console users. PS3 and Xbox users will probably stick with low and medium. Steering Sensitivity: Keep this one all the way to the left. Both console and PC users have confirmed that this slider is backwards. You would think moving to the right would increase sensitivity, but it decreases it. A slider to the right makes you unable to turn. The default is slightly away from left. You can leave it there if you use a small degree of rotation in your wheel software. With this slider you can increase or decrease the limitation of turning angle at high speed. At the minimum position, you haven’t any angle limitation: at full speed you can turn your wheels with the full angle. If you think that your vehicle behavior is too sensitive at high speed, you can increase this value, in other case you must decrease. Pads and keyboard users should keep high or medium speed factor. On wheels, it entirely depends on your personal preference. 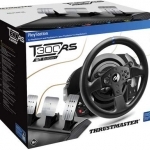 This slider allows you to control the maximal angular speed of your wheel. The speed limitation can be removed by positioning the slider on the left. It is recommended for wheels as it removes the “lag” feeling. If you move the slider to the right, your wheel will turn slowly at high speed, thus avoiding frequent spin around. At low speed you shouldn’t see any big difference. With pads or keyboard, you should keep it between 1(nearly extreme left) and 10 (extreme right). I.E: If you move the slider on 10, at 300km/h your wheel won’t turn faster than 130° per second, meaning you’ll need 1.5s to completely turn your wheel. Dead Zone: Leave this to the left. Only adjust if you have a worn out device like a thumb stick that doesn’t recognize movement near the center. Controller Linearity: For console users. At center, this setting provides even steering from 0° to maximum. Putting the slider towards the left makes turning more extreme near the center of the wheel and putting it to the right makes it more extreme farther from the center. 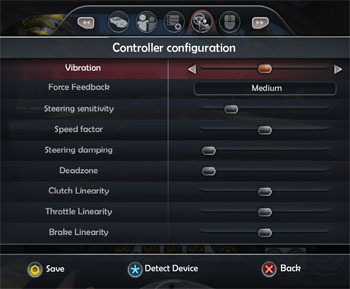 For gamepads, 3/4 right is the suggested setting. For wheels, leave the slider in the middle for no modification. If it’s too sensitive, move it to the right. If it’s not responding quickly enough, move it to the left. If you happen to be using a keyboard, you obviously won’t use vibration or FFB. However, Dead Zone and Linearity settings have no effect. The other settings can be changed to preference. If you would like more information, feel free to ask. I set my Logitech Controller as default device, but now want to play with keyboard again. 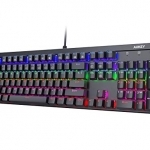 How can I reactive my keyboard again? In the options menu it is completely deactivated, I can only navigate with the controller. When I select “keyboard” as device then neither the keyboard nor the controller are responding, probably because I am not able yet to press the save button! I have already reinstalled the game, but the controls-options are remaining. So now my question is where the hell can I edit the config file manually or just reset the game to default configuration. My only wish is to play this game with keaboard again!!! Did you try just that file? I removed it from the folder and my steering wheel setup was replaced by the keyboard. Then I moved it back and my steering wheel controls were back. Thank you a lot for this article. Playing with Logitech Cordless Rumblepad 2 and i can’t access the menu anymore (and thus the controler settings). Also the map is not accessible anymore for me. Tried reinstalling several times with removing all relevant files and folders i could find. Tried the option above aswell. Nothing worked for me. So you deleted the stuff under the Documents folder and reinstalled the game, but it’ still stuck on controller instead of keyboard? On a new install i had to create a new profile, but the controls remained the same. Wich in my case is still the gamepad. I still used the keyboard for the menu and map. I find TDU2 gamepad usage dodgy at best. Thank you for this post. I’m using an pdp Xbox360 pad (which sticks are slightly more sensitive than a MS Xbox360 controller) Thank you for this post, why the steering sensitivity bar is backwards, I’ll never understand. Sounds like maybe you should calibrate it? You can use Windows control panel or the Logitech Profiler to open up the game controller Windows settings. thank tou so much for your great help it works fine after caibrate . Hi, I get a lot of issues driving faster cars, like for example one of the ferraris I had to drive for a mission, its impossible to drive, its like driving on oil or something, and one little move to the left or the right to straighten out the car makes it turn out of control. Help Please, I’ve changed all the settings to the one above, and even made the steering sensitivity the lowest . I can only assume you are playing on PC. I think Steering Linearity is the in-game option you would want for that. According to the developers, you want it towards the right. It’s been a while since I played this game, but doesn’t it start in a Ferrari? I don’t remember having any issues. Hi, yeah i’m playing it on PC, and it was a later mission, one of those timed side missions. My linearity options were always on the far right =/. thanks alot.but does it really make tdu handling easier & better?? Well its been 3 and 1/2 years but I recall these options can make a huge difference to a driving experience. If you are just playing casually, most of them can be left alone. 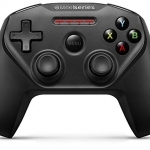 Hi, I play on PS3 and tried a more personal controller config, which failed horribly. I tried resetting it by deleting my game saves (after putting them on a USB) and completely reinstalling the game, then load the files. which didn’t work. also tried many other things. they all failed. The game is now ruined because of my conifguration. how do I reset it? or what were the default values anyway? Hi Gman, unfortunately this article was written using a PC copy of the game. I am not sure about PS3, but you might be able to poke around the Playstation’s dashboard and see if there is some game data that is being stored outside of the game. If you don’t have arrows, you will probably want to leave the game and make sure your wheel is working in Windows. Make sure it’s plugged in to a power outlet, then check your Control Panel where you can test and calibrate it. That might shed some light on your issue. Of course, playing another game with the wheel is a good test, too.